These sock boots are our new AW essential. 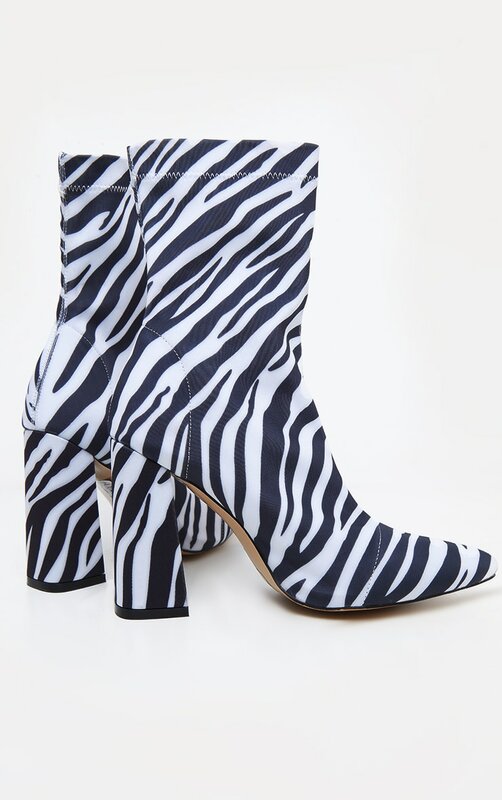 Featuring a zebra lycra material, a pointed front and a block heel, we are obsessed. Style with a bodycon dress for a look we are loving.